I can't find my language pair in the "Services" list. How do I add it? 1. 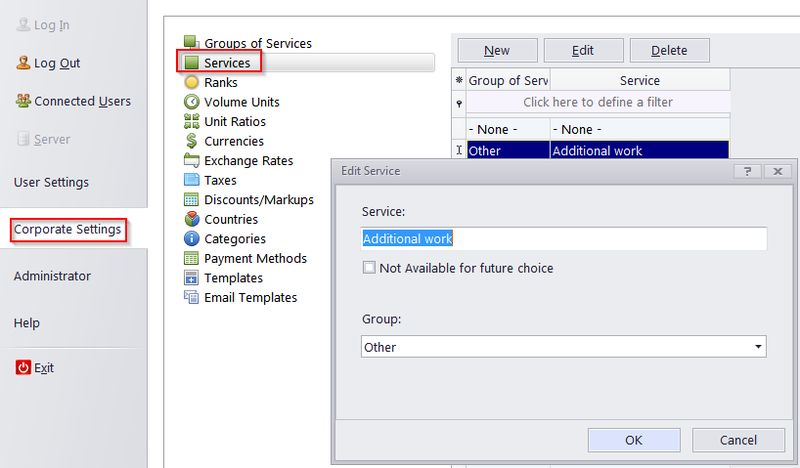 Go to the Backstage view, and select "Corporate Settings>>Services". 2. Click New, then select a Group of services you want to add a new service to (it is recommended to add language pairs to a group named "Translation" or similarly), and enter your language pair as a new possible service. 3. This will add the new language pair to the database and enable you to select it when creating new Jobs.